We’d love your help. Let us know what’s wrong with this preview of Primordial Dust by Sarah Daltry. Questions of loyalty, of morality, and of free will culminate in a fantasy novel about forging one’s own path and choosing one’s own A princess, trained to behave. An assassin, betrothed to her. A thief, whose eyes she dreams of at night. A kingdom at war, torn apart by the suppression of magic and truth, as well as family secrets that threaten to destroy decades of peace. To ask other readers questions about Primordial Dust, please sign up. I am going to start off this review by saying that this book was very well written. It’s a fantasy with magic, and the settings were described wonderfully. In fact, everything was described wonderfully. So why did I give this book two stars? Because I felt like nothing was properly explained. I was confused by the beginning of this novel, by the middle and by the end. I kept thinking I was reading too fast and missing out on explanations, but when I slowed down I realised they just weren’t there. It took a while for me to get into this book at the beginning. The names here were a bit weird with names like Seamus, Alondra and Jaynika – pretty foreign to me. And the book switched between Then and Now quite a bit. But those were all things I could get used to. What I really didn’t like was the main character, Alondra. She heard one thing about a race a people called the Demorians, and then she believed it about all of them. She was stubborn, she didn’t listen to her parents in the slightest or even try to see their point of view, and she seemed so spoiled! I wanted to give her a right talking to. Yes, some things happening to her were unfair, but then at times she was simply intolerable. I couldn’t like her at all. I only want to hear so much about how she’s a girl who has had this thrust upon her. If she was homeless and had no food to eat, she would also have had that thrust upon her, but she simply would’ve had a harder life. So. Magic seemed to be thrown into the novel and I couldn’t understand how it worked or what the rules and limitations were involving it. There was simply magic, and they used it from time to time but I was lost as to how it worked. That happened quite a bit because suddenly there were things like folds in time, traveling between worlds, talking to Gods and such, even dragons at some point, and they simply popped up. Unexplained. I had no idea where they came from, how they worked, but they were there conveniently in time for the story to progress. I liked how there was backstory incorporated into their quest and that we got to see some of the past and the events leading up to the one they were experiencing. That made it a bit more helpful for me to understand what was happening. My main problem with this book was the confusion I felt. The climax (more like climaxes – there were so many!) came and went and I was confused and not able to understand what was happening. The ending came, and the solution and I was still sitting there confused. I just… didn’t understand this story much at all. But the quote at the end of the story was still sweet enough! I am sure others might enjoy this one more than me. I just wish it was longer and that time was given for the reader to understand how things worked and what was happening a bit more. Y'all, I seriously cannot get enough of Sarah Daltry! She's quickly making a spot in my favorites list. Dust is so different than the first book of hers that I read, Backward Compatible. But it blew me away in just the same manner. She proved that she can hold her own in fantasy with this book. It was flawless. As a fantasy fan, I absolutely adored getting lost in Dust. Sarah Daltry has a knack for world building and it shows. Her writing is so rich and descriptive that you find yourself lost f Y'all, I seriously cannot get enough of Sarah Daltry! She's quickly making a spot in my favorites list. Dust is so different than the first book of hers that I read, Backward Compatible. But it blew me away in just the same manner. She proved that she can hold her own in fantasy with this book. It was flawless. As a fantasy fan, I absolutely adored getting lost in Dust. Sarah Daltry has a knack for world building and it shows. Her writing is so rich and descriptive that you find yourself lost for hours before you remember that there's a world outside your front door. I was mesmerized by Alondra from the very first page of Dust, and I have no regrets about it. She is such a thrilling character with so many layers that you'll have to stop yourself from racing through the book to uncover everything about her and the mystery surrounding her. Dust is an immersive experience that will invite you in and steal you away for hours before I realize it. I cannot rave enough about Sarah Daltry's writing. With Dust under my belt, it has only solidified me as a lifelong fan of the author. You simply cannot go wrong with this one if you're a fantasy fan! This book is a fantasy book, it's not one of my stronger genres, however I was sucked into it. I started reading and enjoyed myself immensely. The formatting of the book at first was hard to get into, it jumped back and forth between past and present until it all came together in present. I understand why it had to be done that way, to learn how we got to this point, the present, and in a War. The different lands and people, the secrets, and how it all came to be. This book has a little bit of everything. Lies, Secrets, Betrayal, Magic, Love, Hope, a little bit of it all. It follows the past, the present, and the hope of a nice future. There were times throughout that I got a little bit confused, with who was who and what world was what, and the why's of it, some of the magical parts of it I didn't quite understand the why's. But i still enjoyed myself, I thought it was a good read, especially if you are a fan of the YA and the Fantasy genre. I was really, really excited to get to read an ARC copy of a book for the very first time before the book was even released! Unfortunately, I couldn't give this book as much praise as I had hoped. While I was intrigued by the concepts in the book and enjoyed the characters immensely, the plot had a lot of holes that left me wanting. Had this book been a bit more linear and easier to follow, I think it could have been a bestseller in the YA circles. That being said, this book had good bones, it j I was really, really excited to get to read an ARC copy of a book for the very first time before the book was even released! Unfortunately, I couldn't give this book as much praise as I had hoped. While I was intrigued by the concepts in the book and enjoyed the characters immensely, the plot had a lot of holes that left me wanting. Had this book been a bit more linear and easier to follow, I think it could have been a bestseller in the YA circles. That being said, this book had good bones, it just needed some cleaning up. A revised edition could do really well. Alondra is the main character, and she is a princess who is feisty and rebellious. She is in a station trapped by duty but wants nothing more than to make her own choices and to discover her own deepest desires. This duty versus desire theme is prevalent throughout the novel and is made very relatable to its audience. It goes into detail about not understanding parents' decisions, yearning for a forbidden love, and not wanting the future to be chosen for you. These are all big themes for teens. My favorite character in the book was Seamus. He is the prince chosen for Alondra's arranged marriage. Even though Alondra is judgmental of his lifestyle and refuses to like him on principle, he is nothing but patient, protective, and loving in return. That being said, he is also an assassin and is ruthlessly good at his job. One thing that I find slightly comical about his arranged marriage is that he gets paired with a princess who is a vegetarian but still likes to hunt. Don't worry, he teases her about it too! What I like most about Seamus is that he has layers. There is so much more revealed about his character than a first impression can give us. I love how Daltry develops his character and reveals those layers to the reader over the course of the entire book. It helps us to stay sympathetic to Seamus as a character while still being able to side with Alondra and her opinions. My least favorite thing about this book was the "then" and "now" structure of the first few chapters. While I frequently enjoy stories that begin in medias res (in the middle) and have flashbacks, that style was not well executed here. I spent the first 70-ish pages very confused about details and characters and what was going on. If I, as a college educated book blogger, can't make sense of the beginning of this book, there is no way that the intended audience (teens) are going to stick with it long enough to figure out what's going on! And the history of the world, with windows into Alondra's parents' lives, doesn't help. It simply adds to the confusion with questions and gaps that are created and never resolved. The ideas and concepts present in this book are great! However, if Daltry would have taken the time to make the book at bit longer with more background and cultural details present, it would have been an amazing read. I love her creativity and the way she approaches magic in her world. I think there are themes, characters, and lessons in this book that are very relatable to the intended audience, but it definitely needs a tune up. I started reading this book in July 2014! and got to 74% (I pushed on to read it for the release event) at this stage I was informed that Sarah informed readers that the book was to be picked up by a publisher. So I stopped reading as the book was just not engaging me. It has been a hard push to read and that's unusual for me. When the book begins it switches to POV of "then" and "now". I can say that I have beta read a manuscript with NO CHAPTER headings where the story switched from past to present and I FOLLOWED THAT WITH EASE...whereas with this book I didn't. I was lost trying to work out the world building details and characters and the dialogue that was happening in the scenes. As a reviewer and Blogger I have read numerous genres and only occasionally have I had to go back and re-read whole chapters and since this book is aimed at Teens they may also be as confused as myself. The Main Character is annoying, she just grated me and nothing she did up to the 74% mark made me like her any better. I skipped to the end and read the last pages and I must say that it was a predictable end. Maybe with the additional attention from the new Publisher then can sort out the issues and confusion as I can see that the storyline has the potential to be good. I made a decision to just give up. There are too many books out there that I will enjoy. - I hate doing a DNF and this is only my second book that I have done this with. I do read fantasy *I have read books like Robin HobbFools Assassin series and I thought maybe this might be similar but its not (for me at least) - I have seen lots of 5 star reviews and only a few that are in the same mind as me. So I will end by saying it will be up to the reader to choose what reviews they take to heart. Primordial Dust happens in the kingdom of Anora and centers around Princess Alondra. When we first meet her she's on the battlefield commanding the army and looking over the deaths that has happened. Part one of the book we get to see what happens in the present, but also before that, what happened before the battle took place. Here we see two very different sides of Alondra, the bored Princess in the past and the Princess in charge. Alondra wasn't happy with her planned marriage with Seamus, but after the battle he's the one she turns to for friendship. This was one magical journey. Sometimes switching between past and present can get confusing, but I must admit here it worked. I loved seeing what it was that lead to the battle and how much Alondra changed. What also worked was that it didn't continue that way, after a while it's switched to just now perspective. If it would have continued like that I think it would have become to much, the beginning it worked because of the start of the book and everything and it was a nice way to just reveal almost what it was that did this. You can really tell how Alondra grows from being the Princess to being able to rule and actually living up to who she is. Seamus has his secret, but still stays by Alondra and you can't help but love him. Definitely a must read book if you're into fantasy. There's still a bit of romance in there, but it doesn't play the biggest part in the book. What really had me hooked with this book was the amazing writing! It created this wonderful universe that you felt part. Gorgeous. A former English Teacher and YA Library Coordinator, Sarah Daltry has always had passion for books. When it comes to writing her own books, Sarah Daltry loves to weave magic and beauty, and in her latest novel “Dust,” which makes its debut on November 7, 2014, Sarah Daltry has created an epic fantasy that transforms you to a world… like no other world… you have ever experienced. Princess Alondra, the main character of this epic fantasy fights to save her kingdom by maintaining peace between nations by agreeing to an arranged marriage by her parents, and what comes next is a thrilling story of deceit, lies and secrets…unveiling a world that will change Alondra forever. I was so intrigued by this novel that I just had to sit down and learn more about the author and the story behind this epic fantasy as part of my “Holiday Author Interview Series” and I invited Sarah Daltry for an interview… trust me…if you love epic fantasy novels then this book should be on your holiday wish list. Received free advance copy for honest review. Beautiful, seductive writing combined with whirlwind twists that kept me spellbound throughout the book. I was swept further and further in to the story, all the while seamlessly flipping back and forth in time, until the past catches up with the present and we begin to understand where true loyalties and destinies lie. I adore the three main characters - the princess, assassin and thief - they are so well developed that they bring to the table their o Received free advance copy for honest review. I adore the three main characters - the princess, assassin and thief - they are so well developed that they bring to the table their own personal layered history which enhances the believability of the story. War, greed, death, pride, seduction, betrayal and treason intertwine with powerful magic, courage, destiny, loyalty and love and ultimately provide the reader with a gripping adventure, complex characters and a fantasy world you are going to want to visit time and time again. It looked like a really great read based on the blurb and I was really looking forward to reading it. But the switch back and forth between past and present was really not working for me and I was having a very difficult time connecting to any of the characters. Alondra was a spoiled princess in her "before" life and there wasn't enough of her character shown to me by this point to find anything to like about her in her current version. Upon starting Dust by Sarah Daltry, my first thoughts were somewhere along the lines of, "Oh great, another teenage girl who's going to save the world." But there are some books that just speak for themselves and put the reader in her place when it comes to prejudging without proper evidence in either direction, and this is definitely one of those. So yeah! Oh great, indeed, another teenage girl who's put in charge of saving the world! When we meet Alondra, it's with stark, disorienting time jumps from past to present, from insolent, immature princess into commanding, brave, courageous leader of her people, and it's told in a way that made me sit up and take notice. The thing about YA novels that makes them so good is how relatable they are, but the thing that makes them even better is when they're inspiring, when they show you exactly what's inside all of us, even if we're only fourteen, or sixteen, or eighteen, like Alondra is when her world comes crumbling down around her, pretty literally. And so a story is told, full of love and loss, discovery and betrayal and redemption and all of the age-old intriciacies that build an engaging tale fit for a reader of any age. Alondra learns that her parents are people too, a lesson that takes many years for children to figure out, that "evil" can take many shapes (and can capture you easily), and that light and love and compassion can come in unexpected forms and from unexpected places, no matter how much you fight against it. She's on a mission to find not only her own freedom and her own path, but to save her kingdom and her family and their traditions, and to restore the world that she's been set to inherit since birth, whether she wants it or not. It means sacrifices of the most brutal kind and decisions that are too heavy for anyone, much less a girl who is learning about love, family, and magic, and their places in the universe, for the very first time. Fantasy has never been exactly my strong suit, but this novel pulled me in fairly quickly. There's a lot of information to take in-- we're learning about magic and history and alliances at the same time as Alondra is, and it can be overwhelming sometimes, but the writing style flows energetically in a way that invites you to keep reading more, to keep letting it pull you in until you can fit the pieces together with our heroine. It isn't the sort of book you can necessarily read without paying attention though-- the kingdom of Anara requires the entirety of your attention, which can be intimidating, but that's also sort of the appeal-- it just isn't the kind of thing you'd want to read if you're looking for something mindless. Overall, I found Dust to be full of interesting, rich, complex worlds and characters who demanded my attention and kept me coming back for more. There's something wonderful about an author who can build such a detailed web with her storytelling, and I really enjoyed this about Sarah Daltry's work. It's part mystery and part fantasy and wholly epic, and I was always eager to dive back in and pick up where I'd left off. The time jumps in the beginning took a little getting used to, but ultimately I feel they were the best way to tell a story that required backstory before we were fully prepared to join Alondra on her journey. I truly can't say enough good things about this book, and I would recommend it for anyone who likes fantasy and/or YA novels, for anyone of any age who is interested in the treacherous quest from youth to adulthood, and from rock bottom to finding a way to climb back up the mountain toward its summit where the whole world is just waiting on us for the taking. I read a lot of YA fantasy. It's my favorite genre, and I always jump at the chance to read something new and different. And Sarah Daltry delivers in her first foray into YA fantasy! Sarah's books have always been very character-based, and this story is no different. I absolutely loved getting to know Alondra, Seamus, Tevlin, and Layla and their world. I thought the pacing in this book was really excellent. There are jumps between the past and present, but the chapters fit together seamlessly a I read a lot of YA fantasy. It's my favorite genre, and I always jump at the chance to read something new and different. And Sarah Daltry delivers in her first foray into YA fantasy! Sarah's books have always been very character-based, and this story is no different. I absolutely loved getting to know Alondra, Seamus, Tevlin, and Layla and their world. I thought the pacing in this book was really excellent. There are jumps between the past and present, but the chapters fit together seamlessly and give information from the past that is now, or will soon be, relevant in the present. Alondra has a lot to discover about her parents and their past, and about the way the world used to be. There is so much more at stake in this book than just Alondra's freedom, and she has to make so many hard choices. Even though the jumps in time might be a little disorienting to some people, I think they really tell the story in a way that going from point A to point B just would not do. The meandering path adds so much depth to the plot and the world. Alondra is probably one of my favorite heroines that I've read about recently. She starts out as kind of a spoiled brat, bored with her life and upset that she's being forced to marry Seamus, an assassin prince from a neighboring kingdom. But as she learns secrets and gets to know Seamus better, she matures in to a strong young woman, capable of leading the country she's set to inherit. And then there is Seamus, who is totally swoon-worthy. 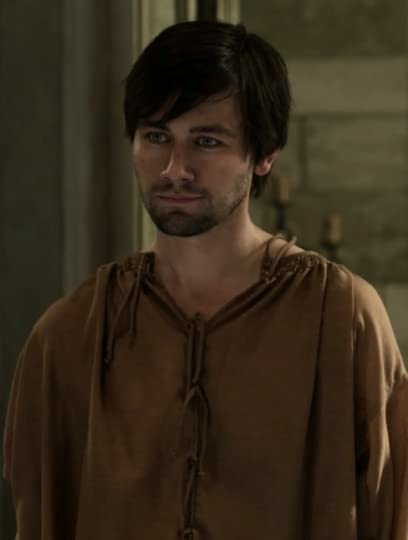 I fell in love with Seamus pretty much from the beginning, and I kind of wanted to slap Alondra every time she didn't want to give him a chance. Sure, he seems cold and apathetic, but he's go secrets of his own that could destroy him and Demoria. One of my favorite things about Seamus is that he treats Alondra with respect, and knows that he cannot force her to love him. He wants to at least be friends, since neither of them has any choice regarding their marriage, but he allows Alondra to love him on her own terms. He's really a sweetheart underneath everything, when he allows himself to actually care and show emotion. Sarah's world-building is some of the best I've seen in YA Fantasy. There's a little bit of telling how the world is, because that's just how fantasy goes, but most of the world building is done through Alondra discovering more about Anara and Kooram and all of the other countries. Even though she's the princess of Kooram, she's led a very sheltered life and doesn't know much about her world. So when she's forced to save it, we get to see Anara through the eyes of someone who is also learning about a world that she's lived in her entire life. I would 100% recommend Dust to any fans of fantasy, especially if you're looking for a YA fantasy. I think the really great thing about this book is that it can be enjoyed by teens and adults alike, so I'd really recommend it to any age group. Maybe not too young, since there are some situations that may not be appropriate for a middle-grade reader (there are a couple of scary/gory parts! ), but there's nothing too bad or anything. I adore Sarah and her books, and this one is no different. A 5/5 for sure, and I can't wait to see what Sarah has up her sleeve next! I don't usually read fantasy. That is why I went into this book without any expectations. I was pleasantly surprised though, with this book. I really enjoyed going on this adventure with Alondra. Story: The author has created such a great atmosphere that you are transported into the world of this book when you start reading it. I could easily imagine the surroundings, Anara and the other places. The story is really good and very interesting! There were a lot of twists I didn't see coming. It is v I don't usually read fantasy. That is why I went into this book without any expectations. I was pleasantly surprised though, with this book. I really enjoyed going on this adventure with Alondra. Story: The author has created such a great atmosphere that you are transported into the world of this book when you start reading it. I could easily imagine the surroundings, Anara and the other places. The story is really good and very interesting! There were a lot of twists I didn't see coming. It is very engaging and keeps the reader guessing about what will happen next. Often times I found myself thinking about the book when I wasn't reading it. It has a good mystery that keeps you reading. Characters: There were some good characters and some bad ones. But all of them were very well-written! Though I did not agree with Alondra on a lot of things, I did feel connected to her and understood her thoughts and reasons. She was naive but her naivety was real and believable. I like how she understood her weaknesses and acknowledged her mistakes instead of denying them. Seamus was such a sweetheart! SEAMUS WAS SUCH A SWEETHEART! I don't know what else to say about him, I loved him! I wish I could have gotten to know him better, go into his head for a little while, but this book was about Alondra. Though we do see a lot of him too. Tevlin was an awesome, devilish villain! His backstory and connections, I did not see any of that coming at all! I was very surprised with his character. I don't think I should say anything more lest I spoil the book for you. But yeah, his character, and the minor characters, were all written very excellently. Writing: As I wrote before, the book is very well-written! The writing is so engaging that it transports you into the world of the book and into Alondra's head. 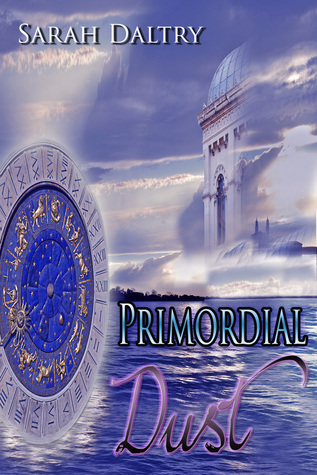 Overall: If you like to read fantasy, adventure books I would highly recommend Primordial Dust! It has an awesome plot, great writing and well-written characters. I'm sure it won't disappoint! Where to start; first I love stories like this. If you like stories about magic, Prince’ and Princess’ then I think you will like this. This story starts out in the NOW then we go back and forth between now and then, which usually for me I do not like but in this instance I found it not so annoying. I usually will get lost in the then/now chapters but I have to say not in this book. Well written and I could follow along just fine. This story is about; I want to say love but I know it’s deeper th Where to start; first I love stories like this. If you like stories about magic, Prince’ and Princess’ then I think you will like this. This story is about; I want to say love but I know it’s deeper than just love, there is a message here in this book. The story starts off with Alondra who is the Princess of Kooram in the middle of the war that has started in her city; she is with her army and Seamus who is the Prince of Demoria and also her fiancé. There have been many cities attacked and now they are on the run. On the night of their engagement party they were attacked; their attackers unknown at the time. So on the night of the attack Alondra was not pleased that she was betrothed to Seamus as he is a Demorian and they are assassins’ known killers. She doesn’t like the idea of having to marry him at all. She had met someone one night when she snuck out of a party and she had a little trisk with this unknown man. She has been fantasizing about him since. A little background on Alondra, I think she is childish and behaves like a spoiled girl, but she soon learns that she should have listened and paid attention better to people and what they were trying to tell her. She judges Seamus immediately and thinks little of him. Seamus he is actually not what you think an assassin would be. You think he would have no compassion but you should never judge someone based on where they come from. Once you get to know Seamus you will see what I am talking about. I adore him. I found that in this story what you think will happen; who think will do it and who you think won’t do it may surprise you. What you think one person may be and who they actually turn out to be will also surprise you. I totally recommend this book love the story line kept me interested, the characters I thought flowed well. Alondra is a spoiled princess who is strongwilled. She doesn't listen to others nor does she care what they want. Thinking they are all against her happiness and hating her life she becomes a brat at times. She is spoiled to the core for sure. When she is told to marry she throws tantrums but that doesn't deter her parents. They do choose a mate for her from Demoria. the assassin town. Seamus is Alondra's betrothed. A assassin with morals and compassion. He is also feared and respected by his to Alondra is a spoiled princess who is strongwilled. She doesn't listen to others nor does she care what they want. Thinking they are all against her happiness and hating her life she becomes a brat at times. She is spoiled to the core for sure. When she is told to marry she throws tantrums but that doesn't deter her parents. They do choose a mate for her from Demoria. the assassin town. Seamus is Alondra's betrothed. A assassin with morals and compassion. He is also feared and respected by his town. They find his pick of a bride to be a joke. Knowing how she acts and what she is like brings about these thoughts from his town. But he chooses her anyway at first for the reason that he can walk away when she gets unruly but once he is with her a little he is enraptured by her. Secrets and the past though interrupt their engagement and war is on the horizon. War her brother has instigated. But did he really? What of the past is being kept from these two? As we move through the book we oscillate from present to past as Alondra tries to see herself and the situation of who she is through others' eyes. She begins to see how horrible her actions towards others were. And even as she begins to have this be seen Seamus is still by her side fighting to protect and help her. He supports her and is patient with her. Alondra and even Seamus is the key to stopping this war and forging a new path for their world. As they delve into the secrets of the past, they get closer and a romance brews. A sweet romance that is beautiful in its simplicity and complexity. These two are there for one another no matter what. Seamus trust in Alondra and his belief in her is unwavering and something she needs to be able to grow and become who she needs to be. In ‘Dust’ we meet Alondra, a spoiled princess who doesn’t want to do anything all to serious and involving responsibilities. When Alondra’s parents decide to arrange a marriage for her with an assassin called Seamon, Alondra is furious. Unfortunately for Alondra she is the only one who can take over the throne and now it’s time for her to take her responsibility. Soon after the engagement party Alondra’s world changes forever. Her home is attacked and before Alondra can comprehend what is happen In ‘Dust’ we meet Alondra, a spoiled princess who doesn’t want to do anything all to serious and involving responsibilities. When Alondra’s parents decide to arrange a marriage for her with an assassin called Seamon, Alondra is furious. Unfortunately for Alondra she is the only one who can take over the throne and now it’s time for her to take her responsibility. Soon after the engagement party Alondra’s world changes forever. Her home is attacked and before Alondra can comprehend what is happening, she and Seamon are forced to save their world. There are a lot of secrets and now everyone is depending on Alondra to save their world. When I first started reading ‘Dust’ I was immediately pulled into Alondra’s world. There is a lot happening and I really felt for the strong hearted girl when she found out her parents arranged a marriage. Although I at first thought of Alondra as a spoiled princess, I soon found myself liking this princess who just wants to enjoy life while she still can. She is young and forced to live a life she never asked for. I kind of couldn’t dislike her after I figured that out. This is definitely a book where a lot of things are happening and you really need to pay attention. I liked the fast paced writing but that also meant I found this book a little hard to read after an exhausting day. What I found a little frustrating about this book was that there are a lot of different parts. I would be completely drawn into the story and then suddenly it said ‘Part Two’ etc. Every time I just lost my reading vibe. I didn’t feel like all these different parts where necessary and it somehow made it a little hard for me to get back into the story immediately. Although I liked this story I found the ending a little too much. There is a lot of magic happening and a lot of talk about different worlds and the ending just wasn’t really my thing. I was a little disappointed by it to be honest. I just think there was a lot of information at the end and it just somehow made it a little confusing for me. Primordial Dust by Sarah Daltry is so fabulously written. You will believe that you are right there with the Princess and her Betrothed. I received my book in the mail on a Saturday afternoon and could not put it down till I had completed it. I had to keep going and reading each word. It is just that awesome!! Do I have you interested yet??? Well let me tell you a little about it. You see -- there are these kingdoms and in this one the King &Queen of Kooram. They decide it is time for their d Primordial Dust by Sarah Daltry is so fabulously written. You will believe that you are right there with the Princess and her Betrothed. I received my book in the mail on a Saturday afternoon and could not put it down till I had completed it. I had to keep going and reading each word. It is just that awesome!! Do I have you interested yet??? You see -- there are these kingdoms and in this one the King &Queen of Kooram. They decide it is time for their daughter the princess Alondra to marry. They want a kingdom that will join theirs and help protect at the same time. Normally it would fall upon the son to keep the kingdom safe; however since her brother went missing several years ago . It is now up to her. The king decides to marry Alondra to the Prince of Demoria, Seamus. Now when they go to his Seamus kingdom for their engagement party . A servant is murder!!! All four parents send Alondra home in hurry. As for Seamus he is suppose to track down the killer. This is where the story really starts to heat up!! When they reach back home everyone is being killed. Nothing left of Kooram. They have to go to the caves. Alondra has been given the task of saving the kingdom; She sets out with Seamus and the guards to find the answers and to save the kingdom. But can they?? The war is going on Seamus is protecting her and repairing the wards. Oh yes, that's right - the story has lots of magic, mages, and other surprises in it. Now here is where I will leave you. But with these questions. Does Seamus & Alondra save humanity?? Did they find love?? And did Alondra finally find out all the secretes that had been kept from her. There are so many twist in this book. However , I have to tell you YOU GOT TO READ IT NOW!!!! Sarah your writing is pure genius. The characters , seem so real ,the setting is so detailed you believe you are there. I rate this book a 10 out of 5 stars plus. Primordial Dust is a fantasy book. Set in the Kingdom of Anora with magic and mages, plus a destiny to fulfil. Princess Alondra finds herself on a battlefield in command of the military with no experience after an attack on the kingdom. The book is set in five parts. Part one goes back and forth between then and now, before the battle and after. We are told that Alondra was a bored Princess, disobedient and unhappy about a planned marriage to Seamus. But after the attack, few are left and she mu Primordial Dust is a fantasy book. Set in the Kingdom of Anora with magic and mages, plus a destiny to fulfil. Princess Alondra finds herself on a battlefield in command of the military with no experience after an attack on the kingdom. The book is set in five parts. Part one goes back and forth between then and now, before the battle and after. We are told that Alondra was a bored Princess, disobedient and unhappy about a planned marriage to Seamus. But after the attack, few are left and she must turn to Seamus for friendship and protection. They head for some caves and safety, where they find other survivors and her parents. In part two, Seamus and Alondra are sent to another world to find answers and a way to save the kingdom. They meet Alusia, a keeper of secrets and are given a diary with a magical spell. Alusia tells them a bit of history about Alondra's mother, The magic Circle, the land of Livonia and The Accords, rules to limit the use of magic. She also finds out about her brother who disappeared years ago. This section was in danger at times of being a bit long winded with information. In part three Seamus and Alondra travel to another world using folds in time, they find Layla an assassin and discover more about the Trinities. However Tevlin, a mysterious and dangerous thief catches them. Their destinies are linked and in part four Tevlin, Seamus and Alondra meet the first mages who created the worlds. I found the magical veils which hid worlds and created others complicated and for me the storyline hard to follow at times, Alondra was confused by it all and so was I. In part five she is given the role of finishing the destruction and creating a new world from the ruins. If you are a big fantasy fan this book could be just your thing, I don't mind a bit of fantasy, but I just couldn't get my head around this one. Just scrapes a 4*. Dust by Sarah Daltry was a very intense read, I have to say. The first book I ever read by Sarah Daltry was Backward Compatible and then I was hooked on her cute little nerd reads, but when I was offered a chance to review Dust, I was blown away by how the intensity was drastically changed from her contemporary novel featuring Pete Clark. The story follows Alondra from her past to present, which can get a little confusing at the beginning but 50 pages in, you will have your mind on the right trac Dust by Sarah Daltry was a very intense read, I have to say. The first book I ever read by Sarah Daltry was Backward Compatible and then I was hooked on her cute little nerd reads, but when I was offered a chance to review Dust, I was blown away by how the intensity was drastically changed from her contemporary novel featuring Pete Clark. The story follows Alondra from her past to present, which can get a little confusing at the beginning but 50 pages in, you will have your mind on the right track. At random points, it will turn from the present to past, and it will leave you wanting so much more from the previous time point. I remember holding myself back from flipping past a present point to get to the next past and vise versa. It had me hooked each time! I really related to Alondra in a way. I am sure a lot of other people do this when reading, but I always change the main character into acting like it was me. “What would I do in this situation?” I felt like Alondra was just the right kind of girl in her situation. She was not like a freaking badass who knew everything, but she was not such a weak stereotypical girl who knew nothing. She was both! She was powerful, but she still acted like a young girl. I write in books, yes I know “OH MY GOOOOSH.” I think writing in books give it character and when I say write in books, I mean like maybe a dot there a line here. Sometimes some words on the side. In Dust, I wrote a lot because there were so many speeches and humorous lines that struck me, making me stop and just sit and think. Overall, Dust was an intense, magical read that I would give to anyone to read! I don't usually read fantasy books, preferring to stick to paranormal or contemporary. But Primordial Dust is a good example of why I delve into the fantasy genre from time to time. The author has created an intriguing world and offers a storyline that keeps you thinking and guessing until all of this world's secrets are finally revealed. Alondra's character goes through the most growth, going from a spoiled teen to a woman who can rule her people after her journey is complete. I really liked tha I don't usually read fantasy books, preferring to stick to paranormal or contemporary. But Primordial Dust is a good example of why I delve into the fantasy genre from time to time. The author has created an intriguing world and offers a storyline that keeps you thinking and guessing until all of this world's secrets are finally revealed. Alondra's character goes through the most growth, going from a spoiled teen to a woman who can rule her people after her journey is complete. I really liked that she is always the proponent for the freedom of choice above all. Seamus has his secrets, but remains a solid, supporting presence by Alondra's side throughout the story-and that he provides unconditional love for her, which is something you might not expect from a character with his background. Assassin or not, he'll be one to add to your book boyfriend list for sure. The format of the first part of the book, where it would bounce back and forth from past to present was a bit awkward for me, and I was glad after that first section when it switched to just the "now" standpoint. There were several points in the story where I felt confused, like I was just trying to understand everything that was going on, and a couple of points that seemed to drag just a bit...but overall it was an enjoyable story. You'll get more of the fantasy aspect of the story than a romance, though Alondra and Seamus' relationship does play a considerable part. I thought this was a very good book overall. I think the writer has amazing potential, her story telling abilities are right up there with JK Rowling, Robert Jordan, and Christopher Paolini... only she's in desperate need of a good editor. I love that all this new talent can hit the nets and new voices can be heard, but the complete lack of good editing is often hard to get passed. There are numerous hiccups in the story line, often you wonder if you just missed something or if something was inf I thought this was a very good book overall. I think the writer has amazing potential, her story telling abilities are right up there with JK Rowling, Robert Jordan, and Christopher Paolini... only she's in desperate need of a good editor. I love that all this new talent can hit the nets and new voices can be heard, but the complete lack of good editing is often hard to get passed. There are numerous hiccups in the story line, often you wonder if you just missed something or if something was inferred and you are being too dense. And of course there is the usual assortment of spelling/grammatical errors that comes with something that isn't professionally edited. One superbly spoiled princess, one incredibly patient assassin, lots of lies.... FANTASTIC writing! You just have to read any and all of Sarah Daltry's work. She has a writing style that literally will mentally engulf your mind and transport you to the world she has created. We see the Princess Alondra, who is just as spoiled and bratty as you could imagine, become betrothed to Seamus from Demoria, which is a town of assassins. She goes, and man do they hate her! Can you blame them!?? Seamus is ju One superbly spoiled princess, one incredibly patient assassin, lots of lies.... FANTASTIC writing! Seamus is just infatuated with her and together they start to uncover many things that were hidden from them, or lied about to them and they have to pick it all apart to make sense of it. As they get to know one another, she starts to chill out and they start building this romance that will be EPIC! Great book! If you can get your hands on it, I suggest that you get reading!! I was so excited to read this book, and it delivered on every level. I loved Alondra. At the beginning of the book I found her to be stubborn and a little naive. As I followed her and the other characters through the story, so much more about her was revealed. She was fierce and determined and had no problem stepping up when she was needed to. This book has so much going on - family, love, loyalty, war...it is such a great adventure with a wonderful and diverse cast of characters that I fell in l I was so excited to read this book, and it delivered on every level. I loved Alondra. At the beginning of the book I found her to be stubborn and a little naive. As I followed her and the other characters through the story, so much more about her was revealed. She was fierce and determined and had no problem stepping up when she was needed to. This book has so much going on - family, love, loyalty, war...it is such a great adventure with a wonderful and diverse cast of characters that I fell in love with. I loved this book. I feel that my own style of writing is similar to Sarah's, though we organize differently. It is a little confusing at first, with the jumps back and forth between "before" and "now," but it builds the tension wonderfully. (And no, the whole book isn't like that. The "flashbacks" stop around the middle. Though then there's actual flashbacks as they read a diary written before they were born.) There are good twists. The characters are well thought out. Personally I have read everything Sarah writes and I love every single one of them. However, this I do believe is the best. Alondra must face many challenges some I could never imagine but others are ones we face every day. to have choices is something we all take for granted and all she wants is to choose her own path. This book was cleverly arranged and executed. I liked the well-rounded out characters, the mystery and the secrets. The world building was very subtle and nicely done, if a little vague at times, but I found that it added to the mystery rather than take anything away. A lovely, unique, read.